Salvindra Nitesh (left), with his colleagues in Colonial War Memorial Hospital. Salvindra Nitesh, 25, believes being a nurse should not only focus on performing the work of a medical profession, but it is also about caring and helping the poor and the needy. “Being a nurse is a blessing, being a nurse is about caring for people from your heart,” Mr Nitesh said. The young man from Waiyevo,Taveuni successfully completed his Diploma in Nursing in 2014 and successfully completed and graduated with a Bachelor of Nursing Science Bridging programme from the Sangam College of Nursing in labasa. Mr Nitesh said when he started his career he faced challenges but he focused to become someone better in life. “When I went to Labasa, finding a flat for rent was difficult as the school does not have a hostel yet, but later I did manage to find a flat and stayed there for three years until I graduated. “When I was working at Levuka Hospital, I was under pressure and was faced with the challenge to work and also study. “I had to travel every fortnight to attend classes. It was really hard for me waking up at 3am travelling from Levuka to attend my 8am class and travel back next day for my night shift,” he said. He said as a child he had always wanted to join the medical field but he could not decide which profession. “I was staying near the hospital and maybe the influence of staying and having to see the hospital staff daily made me choose this profession. 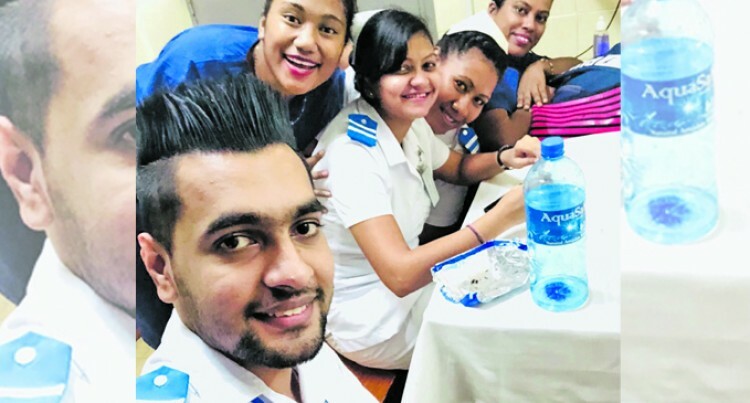 “After completing secondary school, I applied for nursing and got through the first offer letter I received was from the school of nursing,Labasa. He said his parents were always supportive throughout his studies even though he was a private student. He completed his secondary school in Bucalevu Secondary School in Taveuni. This is his fourth year in nursing; he completed his internship at the CWM hospital in 2005 and was posted for rural attachment at Levuka Hospital in Ovalau. He is the youngest of three other siblings. He said his inspiration have always been his parents. His future plans are to pursue his career in completing a Masters Degree in Nursing.